Our Coalition-Wide Meetings are held quarterly, and are open and free to all. Each meeting highlights a topic that has emerged as an area or issue of interest to our membership. Whenever possible, we try to hold up the work being done by active members of the VPC on that issue area, as our members are often leading experts in their respective fields. In addition to knowledge exchange, our Coalition-Wide Meetings provide an opportunity for members to connect with each other, strengthen relationships, find new connections, or learn about how work in other fields may connect to your own efforts. It is also a chance for those interested to learn more about the VPC and the work we do. Previous Coalition-Wide Meetings have included a Community Forum done in partnership with the League of Women Voters on AB 109/Prison Realignment, a presentation of the Community Safety Scorecard, a document published by the VPC in partnership with The Advancement Project that ranks the City of Los Angeles by protective and risk factors for violence at the zip code level, and a panel discussion on Breaking the School-to-Prison Pipeline, in which we connected work being done by members organizations on school push-out and truancy policies with college access for under served communities. Josh Sugarmann shared the Violence Policy Center’s Lost Youth Report, alongside Peace Over Violence’s Brenda Ingram, who spoke on trauma, and the impacts of trauma, particularly as it relates to gun violence creating a self-perpetuating cycle of violence, and our own Steering Committee Vice Chair Adela Barajas, who brought in the perspective of those who are directly impacted by gun violence. Moderated by Children’s Defense Fund’s Michelle Newell, it was a moving and informative afternoon. 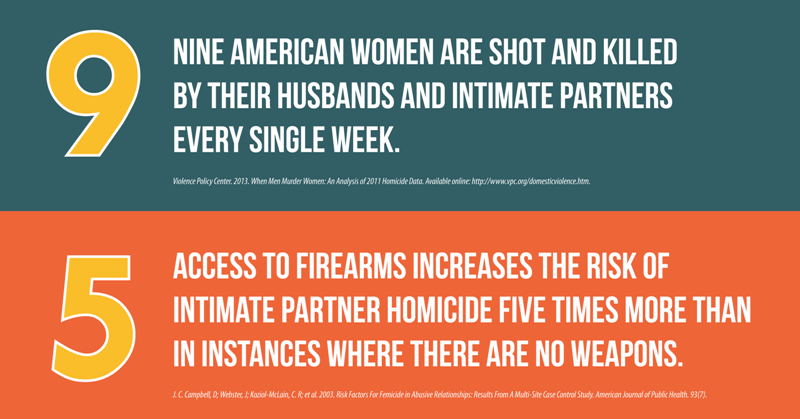 A panel of national mental health, public health and gun violence prevention experts, organized by the Consortium for Risk-Based Firearm Policy, convened in Los Angeles on Tuesday, July 8, 2014 to discuss new approaches to keeping guns out of the hands of individuals with dangerous intentions. The approaches, including a gun violence restraining order, were detailed in a report from the Consortium. The panel came together in the aftermath of the May 23 Isla Vista shooting, and as the California General Assembly considered legislation that would implement a “Gun Violence Restraining Order.” Such a tool would prevent individuals from purchasing or possessing guns when they are at elevated risk of harming themselves or others. The Gun Violence Restraining Order is a policy proposal that was identified by the Consortium as a promising new strategy to prevent gun violence. The Consortium, a group of mental health and public health experts, issued reports late last year to state and federal policy makers making the case for strengthening gun purchase and possession laws to restrict individuals with at elevated risk of harming themselves or others from having guns. The legislation would enable those closest to a person who is at an elevated risk of harm to self or others to petition a court to temporarily remove firearms from that person. After a short period of time, the Gun Violence Restraining Order would be reassessed to determine if the individual still poses a serious risk of violence. A fact sheet detailing a GVRO is available here. The panel was sponsored by the Consortium for Risk-Based Firearm Policy, the Educational Fund to Stop Gun Violence, the California chapters of the Brady Campaign to Prevent Gun Violence, the Coalition Against Gun Violence, the Law Center to Prevent Gun Violence, Violence Prevention Coalition of Greater Los Angeles and Women Against Gun Violence. The VPC was selected as a host organization for LA2050, and members were invited to share their voices and feedback to shape the strategy for the future of Los Angeles. Members shared their thoughts on what will make L.A. the best place to learn, create, play, connect, and the healthiest place to live. Meeting participants discussed the draft goals in order to give feedback to the LA2050 project. Our goal was to ensure member voices, and voices of the community are engaged around the goals, and influence LA2050’s activities in 2014 and beyond. 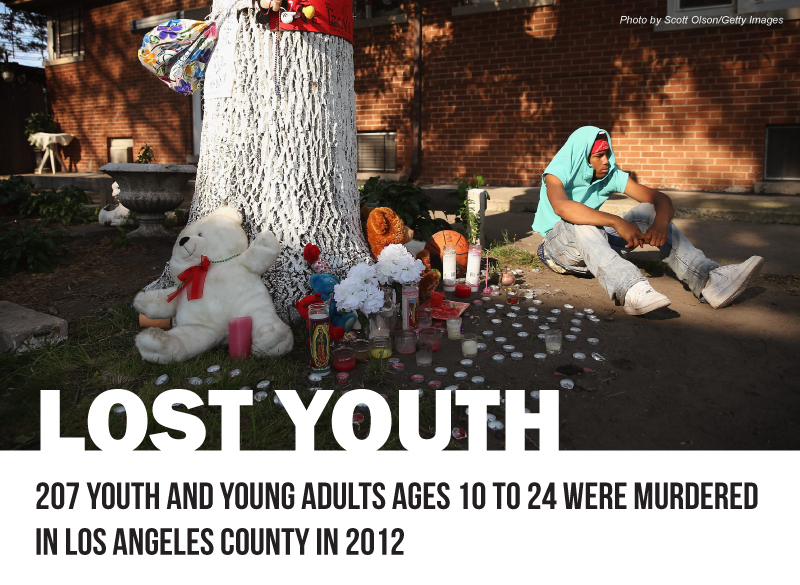 The Violence Prevention Coalition convened a Coalition-Wide meeting to share information on the L.A. City’s policies and priorities regarding the lethal impact of guns on domestic violence situations. This convening featured a panel of experts from the L.A. City Attorney’s Office, the L.A. County District Attorney’s Office and front-line providers on the connection between guns and domestic violence, and the impact of gun violence and gun trauma in domestic violence situations.